The Midterm will be on Tuesday the 29th in class. We did a formal review session in the last class, so I won’t repeat all of that, but here are some things to consider. Know writers and the key plot points of the book and plays we’ve read so far and be able to talk about the main characters in each. Review the poems and writers. You don’t need to know everything we’ve done, but you should know a few key poems from Pietri and Pinero and basic biographical info about their lives. If you haven’t read or watched anything, now’s the time to do it! You’re responsible for anything that’s been assigned or posted here as an assignment, including video. For Thursday, we’ll take a turn into filmic representations of the city and city life from an immigrant’s perspective with a screening of director David Riker’s 1998 film La Ciudad/(The City). we’ll watch the first half of La Ciudad on Thursday. Prepare to take good notes, as there will be a writing assignment on it and it will appear on the final exam. For people following online, though apparently out of print, the film’s available on Netflix and at the NY Public Library if you’re in the NYC area. Read this short review and one from the New York Times of the film. 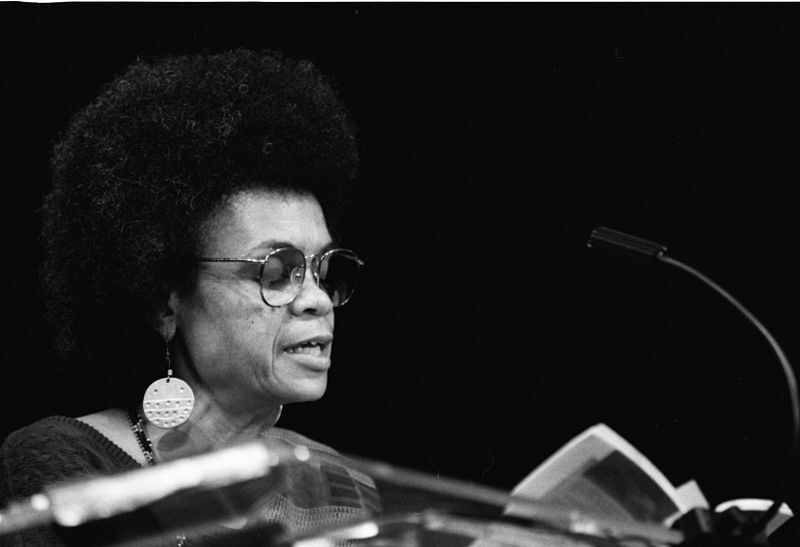 For Tuesday October 22nd, we’ll continue looking at Black writers from the 1960s with Sonia Sanchez. We’ll read a short play titled The Bronx is Next. It’s part of a longer PDF file on the Readings page. You do not have to read Sister Son/Ji, but do read the essay titled “Preface to Uh, Uh, But do it Free Us?”, where she describes her creation of The Bronx is Next. Also watch her perform “A Poem to Some Women” on Def Poetry Jam. Watch: Director SC 2 talk about his 2009 production of Sonia Sanchez’s “The Bronx is Next” and “Sister Son/Ji”. What’s the vision of the city (and of Harlem, specifically) in The Bronx is Next? What do the interactions at the heart of the play say about city life? What roles do female characters play in Bronx? What kind of woman does Sanchez give voice to in “A Poem for Some Women”? Who’s voice is the poem written in? For Thursday, October 24, we’ll have a formal in-class review session for the midterm exam, which is Tuesday, October 29th. Begin gathering all your notes and papers together and start preparing now. Tuesday is a Monday schedule in CUNY, so class does not meet. Whatever you normally do on a Monday, school-wise, do that on Tuesday the 15th. What vision of the city does the play’s setting give us? What is the mood of the play: is it hopeful or pessimistic? Can we read it as a possible alternate reality ending to Dutchman and is the end any more satisfying? Note that it’s also happening at a time of urban rebellions across the US (see the YouTube video for more on this). How does the play reflect a possibly dystopic urban future? Watch the following videos for context and to think about The Slave as you read it. Newsreel footage from the riots in Watts, California. Trailer for the Newark ’67 documentary film, featuring Baraka, describing the unrest in that city. Finally, listen to the Temptations’s “Ball of Confusion (What the World is Today)” from the 1970 album of the same name. Think about the times, how this reflects the feeling of people then, and again, how The Slave comments on the times. What does it say about the emergence of stereotypes and how we view popular images? How might this affect how we read/ see/ view images in the city and popular culture? Are there any current examples from the news or popular media that fit the descriptions? Are these categories still relevant or are we past this point? For Thursday the 10th, we take a sharp turn and read the classic play Dutchman from Amiri Baraka (then named LeRoi Jones). We will also have a special guest speaker, Don Ramon of Rutgers University, to facilitate the discussion and present the play. For today, read only the first half of the book: the play Dutchman. (We’ll read the second half — The Slave — next.) Even though it’s short, you need to read it slowly and carefully.